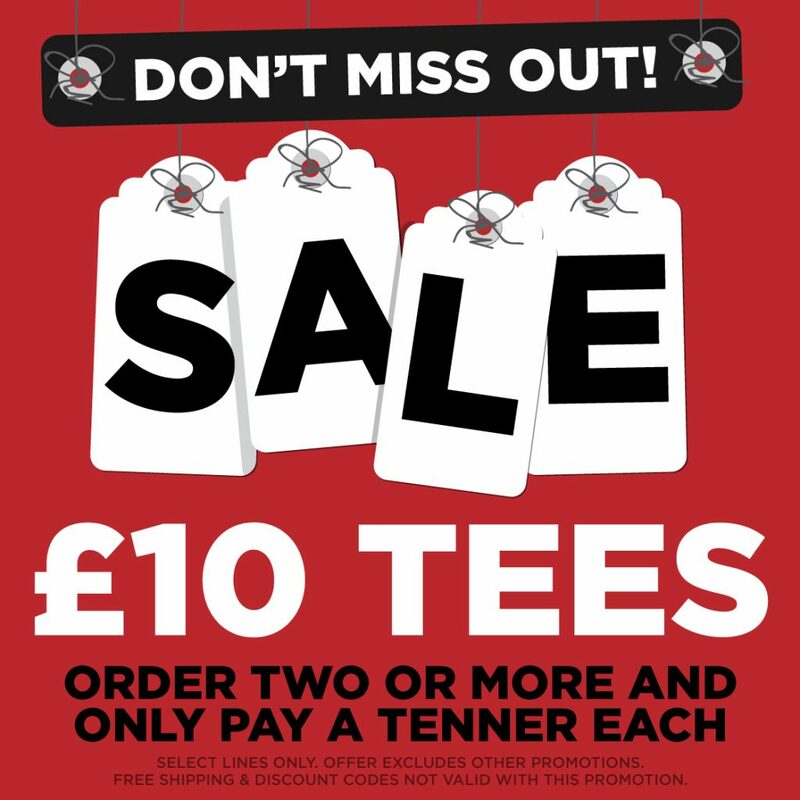 The Hub » New Year Sale - £10 T-Shirts Are Go! New Year Sale - £10 T-Shirts Are Go! Our New Year Sale is on and going strong! When users add more than one of our best-selling adult t-shirts to their cart, they only pay £10 per tee! Normal price is £16.99 per tee! The eligible tees (there are 88 designs to choose from) can be found in the links below. This is a great chance to drive sales and commission. The promotion is live now. Note: This promotion is not compatible with any other live offers or codes on the shop.